With Christmas right around the corner, it’s time to share this incredible list of gifts made specifically for homeschoolers. Budgets are usually tight this time of year, ok all times of year, and what better way to stretch a dollar than to purchase gifts that serve two purposes, fun and educational! Read on to discover the perfect Christmas gift for your family! Have Fun learning about letters and their sounds! LeapFrog characters spring to life in this engaging and educational DVD. Popular LeapFrog characters, Leap, Lily and Tad go on a wild adventure to the Letter Factory. Led by wacky Professor Quigley, Tad joins Js jumping on trampolines and Ks practicing karate kicks as new letters learn their sounds. Fun songs will have kids singing letter sounds in no time. It’s time to cook up a little fun! The Uptown Natural Kitchen has a modern look that young chefs are sure to love. This wooden kitchen is full of fun details like a cordless phone and a chalkboard on the freezer for writing the daily specials. Refrigerator, freezer, microwave, oven and dishwasher doors all open and close. The Letter Construction Activity Set, from Learning Resources, features 60 large, sturdy pieces that can be snapped together in different combinations to form upper and lower-case letters. The pieces are color-coded, to help guide the play, and specially sized to be easy for little hands to manipulate. Inside every kid is an uninhibited explorer, a future leader, and an original creator. And inside every colorful, squishy ball of Play-Doh compound is an irresistible invitation for hands-on exploration. Coincidence? Definitely not. That’s because the Play-Doh brand gives kids the power to shape their own stories in their own way, without having to worry about breaking rules or being wrong. It gives them the freedom to turn what they know into something amazing and unexpected, and there’s always an adventure, masterpiece, or gigglefest waiting to happen. So take the lid off of your imagination and let the Play-Doh brand inspire you to create something awesome! BOB Books Collection 1 contains beginning and advancing beginner readers. Teaching your child letter sounds, consistent short vowels and consonants means a child can quickly decode the simple words. With four sounds in the first story, a child can read a whole book. This is the Conductor Carl 100 piece piece train set. Wooden train sets are great for any curious child. Children can build train sets from scratch and then role play with the various characters. Children have to use problem solving skills to build their set and will act out real-world situations with the pieces. It’s fun and enjoyable for kids and parents alike. 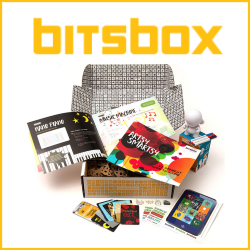 Teach your child to code with Bitsbox! Each month, your child receives a themed box with projects that teach kids how to build simple apps. The boxes include an activity book with over a dozen apps to build. The boxes come with collectible trading cards of apps with lines of code on the back. Kids pick the project they want to do, then go online to type out the code and run the app on the screen on the virtual tablet. They can then send the app to their device or share it on social media. Ages 6-14. Perfect for intense racing action, LEGO Technic Getaway Racer features an eye-catching design with a pull-back motor for quick getaways. Authentic details include vertical exhaust pipes, extra-wide tires, and a heavy-duty front bumper. Build one of five multi-functional robots and control them with our easy-to-use coding blocks on your tablet! The set includes a LEGO Move Hub with Bluetooth connectivity, interactive motor and Color & Distance Sensor. LEGO BOOST building toys are compatible with all LEGO construction sets for creative building. Young thinkers can design unbelievable ball track structures via simple, stacking planks. No glue, no connectors-just loads of constructive fun! The 50-Plank Set helps kids get things rolling with two balls and an instruction book detailing how to build a “Shooting Gallery,” “Turbine,” “Step Curve” and more. Fully compatible with our larger, 200-Plank KEVA Contraptions Set. Do you ever wonder how bridges span huge distances and how skyscrapers stay standing? Structural engineers use physics and their knowledge of the properties of building materials and geometric shapes to design structures with sufficient strength and stability. With this kit of modular building pieces, you can learn the basics of structural engineering by conducting a series of 20 model-building experiments. Each model demonstrates a basic principle of mechanical physics or structural engineering in a hands-on way. The SparkFun Inventor’s Kit is a great way to get started with programming and hardware interaction with the Arduino. The SIK includes everything you need to complete 16 circuits that will teach you how to read sensors, display information on an LCD, drive motors, and more. You don’t need any previous programming or electronics experience to use this kit. Make anything you can imagine with cardboard. Mr. McGroovy’s Box Rivets are inexpensive, reusable plastic connectors that make building fantastic cardboard creations quick & simple. Great for building play structures like theater sets, pirate ships or castles out of cardboard. The Single-Wall Kit contains 200 rivets to connect 3/8″ thickness of cardboard. Make: magazine brings the do-it-yourself mindset to all the exciting projects in your life and helps you make the most of technology at home and away from home. Projects in the magazine range from old-school balsa wood and tissue-paper airplanes to what to do to keep aging high-tech gadgets alive to building autonomous robots from junk. Originally published as a quarterly, Make: has evolved to a six-issue-per-year publication. Discover the Wonders of the Universe with the Creator! It’s impossible to out-imagine God. He orchestrates time, creates light, and speaks things into existence—from the largest stars to the smallest starfish. God is a powerful, purposeful, personal, unparalleled Creator. Psalm 19:1 says, “The heavens tell the glory of God. And the skies announce what his hands have made.” Indescribable displays the majesty of creation with scientific findings, photography, and original illustrations. These 100 devotions encourage awe at God’s creativity with an in-depth look at Space, Galaxies, Planets, and Stars, Earth, Geology, Oceans, and Weather, Animals—from Hummingbirds to Dinosaurs, Our Minds, Bodies, and Imaginations. With this microscope set, young scientists can investigate everything from cells to crystals. Perfect for individual or classroom use, the glass eyepieces and power settings, 120X, 240X, 300X, 480X, 600X and 1200X, provide users with superior precision viewing. The built-in natural light (through the mirror) and LED (powered by two AA batteries) illumination system and rack-and-pinion focusing help deliver bright clear images. The 48-piece kit has professionally prepared slides and everything users need to make their own specimen slides. The microscope has a durable metal arm, single coaxial coarse focusing and specimen stage with two built-in stage clips. It includes high-quality components and features that make it appropriate for science learning at any age. The kit comes with sample slides, cover slips, plastic tweezers, a plastic scalpel, specimen vials, adjustable lenses, collecting vials, plus a sturdy hard case for easy storage and travel. Set of 25 prepared slides, including plants, insects, and animal tissues, for use in biological education. Samples preserved in cedar wood oil and sealed with a coverslip to preserve specimens and prevent contamination. Slide specimens include coprimus mushroom (cross section), dense connective tissue (section), dog cardiac muscle (longitudinal section), dog esophagus (cross section), dog skeletal muscle (longitudinal section and cross section), dog stomach (section), honeybee worker leg-composite (whole mount), house bee mouth parts (whole mount), human blood (smear), hydra (longitudinal section), Hydrilla verticillata leaf (whole mount), Lilium anther (cross section), Lilium ovary (cross section), nymphaea of apustio stem (cross section), onion epidermis (whole mount), pig motor nerve (section mount), pine leaf (cross section), pine stem (cross section), pumpkin stem (cross section), rabbit spinal cord (cross section), rabbit testis (section), sunflower stem (cross section), Tilia stem (cross section), young root of broad bean (cross section), Zea stem (cross section). Children define and regulate their own experiments, establishing the foundation for lifelong curiosity and a strong sense of accomplishment. Over 200 pieces support exciting discoveries and inventions. Sprout seeds, put them in the seed baskets, place seed baskets in the water-filled flasks, and watch your plants climb the trellis as they grow! This set includes everything kids need to explore the amazing world of hydroponics, including 2 seed baskets, 2 flasks with thermometers, and 2 trellises with rulers. And the included, 22-page journal is packed with experiments, fun facts, creative writing prompts, and more! 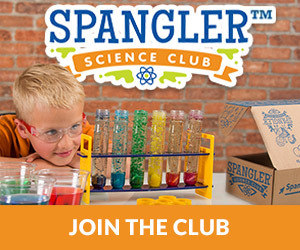 Stimulate an interest in biology and botany with this Nancy B’s Science Club set! Perfect for science fair projects and STEM learning. Scientific Explorer Crime Catchers Spy Science Kit is a safe and fun educational science kit that will have you following clues and gathering evidence by matching fingerprints, testing powders and liquids and decoding secret messages like a crime scene investigator. Follow the instruction booklet to solve the 2 exciting mysteries with 8 different activities and learn some really cool science about how real crime labs work. Compare evidence, ask questions and make observations using different senses. Let’s solve some mysteries! The Backyard Exploration Critter Case helps young minds study the wonders of the insect world right outside their door. The Critter Case is constructed from a sturdy plastic frame with fabric mesh sides that allow safe observation of insects within. The case features an easy-open hatch for depositing and removing plants, branches and insect guests. The case’s flat base prevents it from being easily knocked over and emptying its contents. The Critter Case measures 8.5-inches by 7.5-inches by 5.5-inches, perfect for displaying on a desk or table. A convenient carrying handle makes transport and storage easy. Sharpen your sleuthing skills with Nancy B’s Black Light. Use the black light to complete the science activities in the journal. Activities include identifying rocks, minerals and flowers that glow under UV light, counterfeit money detection, codes and ciphers, making glowing edible gelatin and more. This terrarium not only reenacts the magic of the ecosystem, but it also comes with vibrant LED lights that enhance the display & optimize the experience. Set the soil, layer the rocks, place the sand, water the seeds, find some sun, and watch as everything stretches and grows into gorgeous plants. And when the sun goes down, the powerful LED light will immediately illuminate the interior, creating a magical display that is simply too beautiful to put into words. Uncle Milton’s Moon in My Room features rows of lights that glow softly behind the detailed lunar surface. The lights are specially arranged to mimic the phases of the moon, going from a new moon to full moon and all the phases in between. Teach your child about the solar system while watching Moon in My Room show off the moon’s progression from dark to light. Included is an infrared remote that lets you control your moon model from across the room. The remote features buttons to turn the lights on or off, trigger each progression of the moon’s phases sequentially, or set it to slowly cycle through each phase automatically. Amazing science every month! Choose from one of three levels of hands-on science kits. Ignite the spark of science and creativity in your child. Learn the real science behind each amazing experiment. Perfect for ages 7 to 14. Younger scientists just need more help from their adult lab partner. Amelia Bedelia is all boxed up—literally! This boxed set includes the first four books in the bestselling Amelia Bedelia Chapter Book series: Amelia Bedelia Means Business, Amelia Bedelia Unleashed, Amelia Bedelia Road Trip! and Amelia Bedelia Goes Wild! The Amelia Bedelia books have sold more than 35 million copies. Short, fast-paced chapters, tons of friends and funny situations, and black-and-white illustrations by Lynne Avril on every page make the Amelia Bedelia chapter books an ideal choice for young readers. Princess Magnolia is having hot chocolate and scones with Duchess Wigtower when . . . Brring! Brring! The monster alarm! A big blue monster is threatening the goats! Stopping monsters is no job for dainty Princess Magnolia. But luckily Princess Magnolia has a secret —she’s also the Princess in Black, and stopping monsters is the perfect job for her! Can the princess sneak away, transform into her alter ego, and defeat the monster before the nosy duchess discovers her secret? Boy and fly meet and so begins a beautiful friendship. Er, and so begins a very funny friendship. Using hyperbole, puns, slapstick, and silly drawings, bestselling author/illustrator Tedd Arnold creates an easy reader that is full of fun. This book is a Theodor Seuss Geisel Honor book! An irresistible account of a child’s imaginary 8,000-mile journey through the earth to discover what’s inside. Facts about the composition of the earth are conveyed painlessly and memorably. This book is read over and over in my house. Instant classic! Drawing from his own childhood experiences, Jonathan Bean takes the autobiographically inspired family he introduced in Building Our House through the special rhythms and routines of a homeschooling day. For young Jonathan and his sisters, Mom is the teacher and a whole lot more, and Dad is the best substitute any kid could want. From math, science, and field trips to recess, show-and-tell, and art, a school day with this intrepid, inventive family will seem both completely familiar and totally unique. Includes a selection of family snapshots and a note from the author. Where did the tree house come from? Before Jack and Annie can find out, the mysterious tree house whisks them to the prehistoric past. Now they have to figure out how to get home. Can they do it before dark…or will they become a dinosaur’s dinner? Did you know that there’s a Magic Tree House book for every kid? When they step into the Imagination Station, kids experience an unforgettable journey filled with action-packed adventure to inspire their imaginations. With each book, they’re whisked away with cousins Patrick and Beth to embark on a new journey around the world and back in time. Perfect for beginning readers, these easy-to-read chapter books will keep kids entertained as they journey through history with Patrick and Beth. This introductory six-book box set includes books 1–6 in the series: Voyage with the Vikings, Attack at the Arena, Peril in the Palace, Revenge of the Red Knight, Showdown with the Shepherd, and Problems in Plymouth. Want more book recommendations? 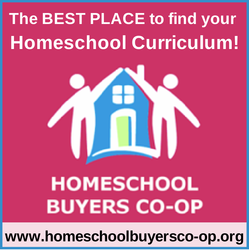 I have a whole list of the best books for homeschoolers listed here! Hape Quadrilla is a High Quality Wooden Marble Run Construction System. It provides QUALITY TIME for the whole family to play together. The BEST GIFT for your loved ones. It provides endless creative building possibilities and encourages spatial thinking and problem solving. Each of the seven different color blocks has a different function and it’s the world’s only kinetic marble run. Vertigo has won “Spiel Gut” (Good Toy) Award and Oppenheim Toy Portfolio Platinum Award. Providing over a thousand happy playing hours, Quadrilla is worth every penny. Every day is pajama day #homeschoollife is a fun tee shirt design to show off the joys of schooling your kids at home. If wearing your pj tops or bottoms all the time is your jammies, you’ll love this cute tshirt. Great for mom, dad, son, or daughter. Create Your Own 3 Bitty Books: It encourages children to be the author and illustrator of their own tiny tales. Storytelling is a great way to share information about our experiences and our dreams, and to open the pathways of imagination. It helps sharpen skills of visualization, plot development, linear thinking, creative problem solving, attention span, reading, writing and small motor skills!! . ..but don’t tell the kids, because they think it’s just fun! Math War is an exciting way for children to learn simple addition and subtraction equations while having fun. Players take turns laying down cards and giving the answer to the problem on their card. The highest correct answer takes the trick. Math War is an exciting way for children to learn their multiplication table while having fun. Players take turns laying down cards and giving the answer to the problem on their card. Wash the car to earn $1.30…but forget your homework and lose a turn! In our involving, skill-building game, players race around the game board doing chores to earn their allowance…then save it or spend it on things they want. And, as children play, they learn to make change, handle money and more! The game board measures a big 18″. For 2-4 players. The Dino Math Tracks game (winner of several prestigious awards, including an Oppenheim Toy Portfolio Gold Seal) is a race around the rainbow with a pack of pintsize, prehistoric pals. An unusual spin on a typical roll-the-dice-and-move game, it spotlights the mathematical concept of place value and gives kids reinforcement in what makes our base-10 number system tick. Stake your claim and protect your territory with Blokus game! There’s just one rule: each piece you play must touch at least one other piece of the same color, but only at the corners! It takes less than a minute to learn but has depth to challenge your whole family. Each player gets a set of 21 pieces – red, blue, green, or yellow – then takes turns placing them on the board. The goal is to fit the most pieces on the board. The game ends when no one can place any more pieces. Times Tales animated edition takes you on a learning adventure through the upper times tables! All the Times Tales come to life as Hannah your host takes you into a world of imagination and fun! Challenging game show quizzes tests the student s knowledge as they progress through the program. By the end of this 60 minute video, your child will have all their upper times tables memorized with easy recall. It’s that easy! Includes a CD with printable tests, crossword puzzles, flashcards, and other reinforcements! Award-winning, color-coded learning system helps teachers make math lessons fun! Cards are color coded by number families. Self-checking answers on back. Tangram Puzzles help to develop & promote spatial understanding and logical mathematical reasoning. Be creative, have patience and practice your geometry skills while playing. Kids get hands-on experience with geometric concepts such as symmetry, angles, and fractions. An isometric array lets you loop actual-size Pattern Block shapes, and umbrella-head pins keep rubber bands in place as students create designs. Set of 10 Pattern Array Block Geoboards, back side is an 11×11 pin grid. Colorful Unifix cubes hold together firmly and come apart easily for years of use. Ten assorted colors. King Arthur was a good ruler, but in this math adventure he needs a good ruler. Geometry is explained with humor in SIR CUMFERENCE AND THE FIRST ROUND TABLE, making it fun and accessible for beginners. What would you do if the neighboring kingdom were threatening war? Naturally, you’d call your strongest and bravest knights together to come up with a solution. But when your conference table causes more problems than the threat of your enemy, you need expert help. Enter Sir Cumference, his wife Lady Di of Ameter, and their son Radius. With the help of the carpenter, Geo of Metry, this sharp-minded team designs the perfect table conducive to discussing the perfect peace plan. Thanks to Sir Cumference, even the most hesitant will be romancing math. Get your brain working with 200 grid-based logic puzzles from PuzzleBaron.com. Filled with complex and fun brain teasers that range in difficulty, this book will put your mind into overdrive with hours of brain-challenging fun. Using the given backstory and list of clues, readers use pure logic to deduce the correct answer for each fiendishly tricky puzzle in Puzzle Baron’s Logic Puzzles. Bring out your competitive side and check your stats against the average completion time, the record completion time, and the percentage of people who finish the puzzle. Check your work against the answer key and see how logical you really are. 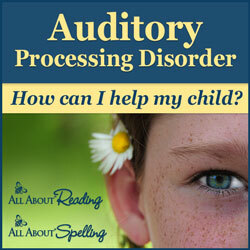 Perfect for homeschooling kids who are working on their socializing skills. Going out for park day, visiting the grocery store, or out on a field trip, don’t forget your socializing t-shirt. The Crafty Charts Reward Chart is a Quick, Easy & Organized way of keeping track of your busy family schedule. Through positive reinforcement you can encourage a productive and healthy family environment. A case full of everything you need to learn how to sew and create fantastic art and fashions. This sewing set inculdes precut patterns for quick and easy projects, eight colors of embroidery floss, stuffing fabric, ric-rac, needles, scissors, a measuring tape, straight pins, thimble, pin cushion, buttons, and a pom-pom strip. Create high-end fashions at an affordable price, with this incredibly easy to learn and use, exclusive Brother Project Runway computerized sewing machine. It offers complete couture-level solutions to help you leverage your sense of style into one-of-a-kind, runway-ready fashions! Experience easy, reliable threading of both top and bottom threads; virtually effortless sewing on a wide range of fabrics, and the ability to add professional quality buttonholes, zippers, decorative top stitching and neat, overcasting edges to your favorite creations. The Original My Quiet Book. Button a button, snap a snap, tie a shoe, textures to touch, zippers to zip and more! This all-time-favorite interactive book even has a clock with hands that move. Designed to keep little ones busy and quiet in the car, stroller, plane, restaurant, church or anywhere. Pieces are tethered to the book so your toddler never loses them. Real cooking tools for kids! This nylon kitchen knife set cuts the toughest food, but won’t cut skin. Getting kids involved in the kitchen from an early age means that they learn essential life skills that stick, not to mention a love of food and cooking. Recommended for ages 4+ and always to be used under adult supervision. 201 Gluten-Free Recipes for Kids helps you create a variety of mouthwatering meals and snacks for your child—all without the ingredient you worry most about: gluten. From breakfast staples like Oatmeal with Cinnamon Apples to tasty treats like Chocolate Coconut Brownies, this book transforms your kid’s favorite foods into nutritious dishes they can eat. Decorate your walls with a dry-erase wall map of the USA. The Peel & Stick Removable USA Map Decal comes with a Dry-Erase Marker and measures 24 inches x 36 inches. It is safe for walls, leaves no sticky residue, is repositionable and always removable. Divided into six chapters: Geography, Nature, People, History, Arts & Entertainment, and Science & Technology, Where on Earth? brings an instant understanding to a wealth of subjects. Travel back in time to witness history in the making with Benjamin Franklin’s teenage reporters as they confront the real and physical dangers of the American Revolution. Trapped in opposite sides of the war – James, an American colonist, and Sarah, a young English reporter – are forced to choose between friendship and allegiance to their countries. All while they try to look after mischievous Henri, a French boy whose comical escapades constantly lead to trouble. Journey through history and discover the high points of the American Revolution through this fun and animated educational adventure! The Replogle globe is a versatile learning tool for students of geography, history, science and current events. It features beautiful mountains in detailed raised relief. It is realistically tilted on its axis to match the Earth’s tilt. It’s mounted on a strong metal base with gold finish and steel meridian ring 12 diameter and 16 overall height. The world s greatest thief is on the loose, and it s up to you to find her! The world famous thief, Carmen Sandiego, plays an intricate game of cat and mouse with teen ACME detectives, Zack and Ivy. Based on the award-winning line of educational computer games, this energizing series is rich in both excitement and education as Carmen Sandiego attempts to steal the most valuable objects in the world. It s up to our detectives and the audience to figure out where in the world she is. Let the adventure begin! 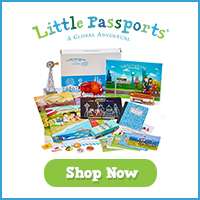 Each month, your child will receive a package with themed activities, stories, stickers, and badges to guide them as they learn about the U.S. or the world. Select Early Explorers (Ages 3-5), World Edition (Ages 6-10), and U.S. Edition (Ages 7-12). Travel the trails and make history e alive! Product InformationAre you ready to walk in the footsteps of those courageouspioneers? Catch a glimpse of a sunset over Chimney rock? Explore Fort Laramieand ford the Platte River? With The Oregon Trail 5th Edition you can almostsmell the dust from the wagon train! Kids will build real-life decision-making and problem-solving skills as theychoose their wagon party and supplies read maps plan their route and guidetheir team through the wilderness. Develop solutions to help your friends andfamily survive the dangers of the long journey including raging rivers buffalostampedes sickness and starvation. Discover a learning adventure that’s greater than fiction—about real peoplewith real dreams facing and overing real challenges. Any child who can make a stick figure can learn to create funny cartoons—and this enjoyably illustrated guide tells them exactly how. Written by professional cartoonist Art Roche, it gives kids lots of hands-on opportunities to turn their creative ideas into delightfully drawn reality. Roche encourages budding artists to develop a personal vision, rather than trace or copy someone else’s style; he also includes plenty of information that other children’s how-to books overlook, including advice on writing jokes, composing panels, and getting published. Young artists blossom with creamy, smooth color that they can smear, blend, dot, overlap and mix. They can learn how to hold a stick to achieve different strokes – either as a pencil, clenched in a fist or on its side. Scratch and stencil art are possible in addition to working with water color over variety. Creativity and interest are enhanced with materials that encourage exploration and expression. TRLIFE 3D Printing Pen provides kids, hobbyists, crafters, and artists with an amazing experience. It helps you create unique and fantastic 3D art straight out of your own imaginations. You can draw horizontally, vertically, or in any style you like! The drawing possibilities are limited only by your imagination. It is the safest and most durable 3D printer pen in the market today. With a shiny foiled cover and 160 spectacular interior pages that feature engaging, full-color artwork, you’re guaranteed hours and hours of enjoyment. Plus, every page is perforated for easy pullout to display YOUR piece of art. The Boys’ Doodle Book is packed with pirates, dinosaurs, robots, and more, daring boys to let their imaginations run wild! A fun and simple sentence on each page instructs what to do, such as “draw a cool tree house,” “how will you escape from a crocodile?” and “draw a flying machine.” So get ready, get set, and doodle! As always, no drawing skills are required—just your imagination. So get ready, get set, and doodle! As always, no drawing skills are required—just your imagination. Geography is essential to a child’s education. And basic to that study is a simple outline of states, countries and continents. In Draw the USA I have tried to give students an easy introduction to committing the map of the USA to memory. Through simple, step-by-step instructions, students learn to draw each state as it connects to its neighbors and, with a little practice, will be able to draw the USA as a whole. This program is designed to increase students’ love and appreciation of the visual arts while enhancing a child’s ability to problem solve, think creatively, and truly see the world around them. Each grade is packed with lessons, art history, field trips and more! I encourage you to browse through each grade level, watch the FREE lessons, and choose what’s right for your child. This Arty Facts Set overflows with color and creativity. Look at the possibilities-markers, pencils, pastels, watercolors and plenty of accessories. All in a closeable wood case with wood handle. A portable art studio to take with you wherever you go. Includes the following supplies: 36 markers, 24 crayons, 24 color pencils, 24 oil pastels, 12 watercolor cakes, and 1 of each: palette, paintbrush, pencil, sharpener, stapler, eraser, ruler, glue and scissors. Provides excellent way for kids and adults to experiment with a variety of artistic media. My Comic Book gives children the opportunity to write, illustrate and publish their very own comic book. After writing and illustrating their story, the artist receives an 18-page comic book delivered in the mail free of charge. The comic book includes a professionally typeset title page and the artist’s name on the cover. My Comic Book is a new, one-of-a-kind product from the makers of the award-winning IlluStory, making it an ideal gift for creative children and project-based learning. The Maestro Classics 12 CD Set includes all 12 CDs from the award-winning Stories in Music series. Each CD contains a 24-page activity book. Includes: Peter the Wolf, The Nutcracker (featuring Jim Weiss), The Story of Swan Lake, Carnival of the Animals, My Name is Handel: The Story of Water Music, Mike Mulligan and His Steam Shovel, The Tortoise and the Hare, Merry Pranks of Master Till, Casey at the Bat, The Sorcerer’s Apprentice, The Soldier’s Tale and Juanita the Spanish Lobster (in English). The Casio CTK-2400 PPK comes with everything you need right out of the box including a pair of closed-cup headphones, X-style stand, and power supply. No matter where you are, the compact CTK-2400 turns each piece of music into a true sound experience. Let yourself be carried away with the wide range of 400 AHL tones and become acquainted with the improved sampling function. Using the built-in microphone, it is easy to record samples, and they can also be integrated into the rhythm. In addition, the sampling effects have been improved. Additional features, such as the 150 rhythms or the step-up learning system, ensure a lively introduction to the world of music and make each performance an exciting acoustic experience. Christmas acapella music from my favorite acapella group, Home Free. Play the piano, then roll it up! Plays six different demo songs, eight different tones, 49 standard keys with record, demo play and volume buttons. Easy storage and portability. Introduce music with these beautiful Instruments. Light Weight. Silver with fun colors. Comes with notes for some famous children songs. Kids can follow the notes easily with the help of the colored keys. Each key matches the number note. Children can easily practice these sweet children’s classics. With time they will pick up on the sounds and play to their own songs. This is a fabulous way to introduce kids to variety of wind and brass instruments at an early age. They can explore and learn to play music quickly. This is a great drum set for the aspiring drummer. Smaller sized genuine hard wood shells with triple flanged hoops make this the perfect first set for the younger player. It includes everything needed to get off to a great start. The drums and cymbal are mounted off the bass drum for easy set up while providing a small footprint, taking up minimal space. Buy with confidence as it comes with a 1 year warranty against any manufacturer’s defects. There is no better way to introduce children to classical music than with Prokofiev’s musical fairy tale of the little boy (played by all the strings of the orchestra) who, with the help of a bird (played by the flute), outsmarted the big, bad wolf (played by the French horns). And now with this book and CD package, children can look and listen all at the same time. A new retelling by Janet Schulman follows the basic story, but with a kinder ending for both the big bad wolf and the argumentative duck. Peter Malone’s paintings have the luminous quality of old Russian masters. The CD, with music performed by the Cincinnati Pops and word-for-word narration by Peter A. Thomas, was made exclusively for this book and CD package. Inspire kids to doodle and dawdle in God’s Word, and you open the door to a refreshing and clever new way for them to experience the Bible. When kids ages 8 to 12 years doodle their way through the Old and New Testaments, they will better remember God’s Word, visualize spiritual truth, and put it all into practice when a life moment calls for it. With loads of humor and a big dose of fun, cartoonist Jonny Hawkins encourages kids to add their creative touches to his sketches as they explore Bible verses that speak into their lives. Transform Your Family with Ten Minutes a Day in the Gospel Story. Christian parents know the importance of passing the gospel story on to their children, yet we live in a busy world filled with distractions. Schedules collide, there is homework and yard work and dishes and laundry, the car’s oil should be changed, there are phone calls to make and before you know it, everyone is getting to bed late again. Sing-Along Bible Songs for Kids presented by Cedarmont Kids is perfect for kids and won’t hurt adults’ ears! One hundred classic Bible songs that your kids will love to sing to at home or in the car. ABC Bible Memory Verse Songs are perfect for the young child to memorize Bible verses in the car or at home. These are catchy tunes for anyone to listen to. With features that will help you understand the Bible better, this New International Version (NIV) Bible measures less than an inch thick, so it’s easy to take with you any place you go… school, church, wherever. Features include complete text of the NIV translation, presentation page for gift giving, words of Christ in red, 8 pages of full-color maps, easy-to-read font size, measures less than one inch thick, ribbon marker, durable yet attractive Italian Duo-Tone™ binding. Take the time this Christmas season to connect with your kids in a meaningful way while enjoying a very special Advent in Odyssey. Prepare for Christmas with 24 Adventures in Odyssey episodes—designed to help your family understand Christmas in a new and meaningful way. Use in conjunction with the Adventures in Odyssey Advent Calendar or on it’s own. Recommended for ages 8 to 12 years. Over 9 hours of audio fun! 8 CDs. Children enjoy learning their memory verses from these small (3.5″ x 4.5″) colorful cards. Use them at home to review Bible verses together. Additional sets are available. This is an absolutely gorgeous Christian stretch bracelet that features 12 decorative panels that have a very ornate detailed filigree style design with hearts. Copper, silver and gold tone panels. The separating panels have the words “faith Hope Love” inscribed into them. Has a stretch feature for a comfort fit. An excellent way to express your faith and be a Quiet Witness to those around you. Kangaroo’s Decorative Wooden Chess Set Is Sure To Please, Made From The Highest Quality Construction & Smooth To The Touch Not Like Some Unfinished, Non Sanded Games On The Market. Each Chess Set Comes Fully Equipped With 16 White And 16 Dark Brown Pieces For Play With A Felt Lining That Includes Piece Enclosures. Chess Game Folds Together With A Magnet Latching Device So game Looks Classy On A Table Or Put Away. Also No Brass Hinge To Scratch The Table. We Hope You Enjoy Playing Chess! Two armies clash. Who will be victorious? Strategy is the classic game of battlefield strategy that has sold over 20 million copies worldwide. For over 50 years, Strategy has thrilled strategy game fans by inspiring them to challenge an opponent and attempt to lead their army to victory. Two players command Napoleonic armies and devise plans to deploy troops, using strategic attacks and clever deception to break through the opponent’s line and capture the flag! nvented in Germany in 1892 as a simplified version of the American board game Halma, then re-christened with its more recognizable name by The Pressman Toy Company in 1928, Chinese Checkers has become a classic the world over. Its traditional star shape and colored marbles are instantly recognizable, and its simple, pick up and play mechanics and six-player gameplay are instantly addictive. This board, cut from all natural wood, is 11.5″ in diameter and features 60 wood marbles in six bright colors. Each of the 121 holes is expertly drilled for consistent depth and smoothness, ensuring each marble fits snugly, but is still easily manipulated. And as with any classic wooden toy, no batteries required! Your adventurous settlers seek to tame the remote but rich isle of Catan. Start by revealing Catan’s many harbors and regions: pastures, fields, mountains, hills, forests, and desert. The random mix creates a different board virtually every game. No two games are the same! Embark on a quest to settle the isle of Catan! FlatBox is perfect solution! Kids know it’s not cool to use a placemat at school, and parents don’t enjoy kids exposed to germs. Flatbox carries food and quickly unzips to become placemat for their meal. It gets better because it’s machine washable – throw it in washing machine and done! It should be stress-free and comfortable when having fun outdoor, this Handy Mat is perfect to bring you more relax and happiness with your families with you wherever you go. Includes built-in handles and convenient pockets on both sides, 100% waterproof,and you can open it or fold it up anywhere and anytime. Easily cleans with soap and water.Perfect for picnics, beaches, RVing and outings. Enjoy your stress-free outside summer time with Picnic Blankets. It never fails that moms always end up carrying their kid’s things! Tote bags are a must to free your hands. This one has a large main zippered compartment for all your goods, three front pockets for easy stashing, padded zippered bottom compartment keeps your goods separated, a convenient detachable coin purse and adjustable double straps for comfortable portability. Radio Flyer’s 3-in-1 EZ Fold Wagon is designed as a full sized wagon for kids that folds compactly and offers 3 different modes: 2 kids riding, flatbed hauling, and bench seating. With an easy one hand fold, you can take or store the wagon anywhere! The high seat backs and thick padded seat provide a comfortable ride. The DuraClean fabric is durable and can be easily wiped clean, and features 2 cup holders on front and storage loops on back. The wagon also features a magnet to hold the handle upright when not being used. The Coleman Beach Shade is useful for those sunny days on the beach. Go inside and change and open it to lay on the beach away form the sun and wind. Our durable nylon Pocket Charts have see-through pockets, making them great for classroom use. The pockets hold most regular-size cards and strips, up to 3″ tall. Grommets allow for easy hanging on a wall or in a standard chart stand. Cards that fit into the pockets include month, date, year, day of the week, weather, seasons and special events. This colorful political map clearly shows state boundaries, capitals, major highways, rivers, lakes, and many major cities. Insets show detail of Alaska and Hawaii. The color palette is vibrant and stunning shaded relief provides additional texture and detail. The map is encapsulated in heavy-duty 1.6 mil laminate which makes the paper much more durable and resistant to the swelling and shrinking caused by changes in humidity. Laminated maps can be framed without the need for glass, so the fames can be much lighter and less expensive. The Magnetic Wipe Clean Board with hanging loop comes with 240 colored magnetic stars in red, yellow and blue. It encourages responsibility by rewarding kids for demonstrating positive behavior, motivating and acknowledging kids who are trying to change their behavior. Comes with a magnetic “I Did It” list e.g. I Did tidy my room and two wipe clean pens to add further “I Did It” categories and insert rewards for up to 3 children. New slim design now warms up 2X faster! Ready in under 4 minutes and laminates one page per minute! For items up to 9 inches wide. Compact design is easy to carry and easy to store while providing the 3M quality you have come to expect from Scotch laminating products. Scotch Thermal Laminator protects documents you handle frequently. This thermal laminator provides a professional quality finish and protects items from damage. With a 3-4 minute warm up time, quick laminating speed, a compact design, it’s great for projects in the home, school and office. The Ticonderoga is the world’s best pencil. A satin smooth finish enhances writing comfort while an exclusive graphite core formula gives you extra smooth performance. PMA certified non-toxic and crafted with premium wood from well managed forests, these top quality pencils feature latex-free erasers to provide easy, clean corrections. The ETA hand2mind plastic scooter provides students with a hands-on experience studying movement and energy, and is designed for classroom use. The scooter has molded handles on the side, an 11¼” x 11½” base that allows students to sit while steering, and rotating plastic wheels that accommodate a variety of movements. Scooter can hold up to 175lbs. This girls’ bike has a strong steel frame and fork with 20″ rims. It comes with both front and rear hand brakes with two pegs at the wheels. Ideal for growing kids who love to skate, the Tracer adjustable Inline Skate offers performance and comfort with push button size adjustment to accommodate growing feet. Adjustable molded shell, deluxe washable liner, locking cam lever buckles. Skywalker Trampolines is founded on safe family fun. That foundation is kept at the forefront of our minds throughout the design and production of all of our trampolines. It pushes us to create one of the safest, most innovative trampolines possible. It was that desire that helped us discover our patented No-Gap enclosure system, keeping kids safe. The 24″ freestyle board allows for easy maneuvering for shorter riders. Also provides a great core workout for Mom. Designed for beginners, kids starting at age 3 can simulate spins, twists, slides, wobbles, and more. Popular with school physical education departments because of the fun and safe, high-quality workout it provides and its virtually indestructible construction. This eye-catching snow-riding device, from the makers of the iconic original Flexible Flyer sled, boasts flashy new graphics over a lightweight foam core. It’s remarkably durable, and a slick bottom surface makes for fast-pace action on the hill. Sturdy handles help keep you safely in place on the two-pound device, which measures 20.5 by 36 inches (W x D). Recommended for riders age five and up. Dot comes with hundreds of exciting coding adventures and projects available in Wonder and Blockly apps. Kids program Dot’s lights, sounds, and sensors in the apps and see Dot come to life. Use your Apple or Android smart phone or tablet to transform Dot into hundreds of different toys and gadgets, such as a lively alarm clock, flying spaceship, a funny fortune teller, or even an electronic instrument. Meet Sphero – the app-enabled ball that does it all. Intelligent and well-rounded, Sphero lets you play, learn, and explore. Create obstacle courses, upgrade family game night with multiplayer fun, or learn to program with our free SPRK lessons. This virtually unstoppable companion is waterproof, pet-proof, and ready for any adventure. It’s time to upgrade your play. Unleash the creative powers of LEGO MINDSTORMS EV3! Build TRACK3R, R3PTAR, SPIK3R, EV3RSTORM and GRIPP3R faster than ever before with the amazing free EV3 Programmer App on your tablet. Then use the intuitive drag-and-drop interface to program your favorite robots to walk, talk, think and do anything you can imagine. When you’re ready for more, fire up the advanced programming features of the EV3 Software on your PC and Mac, or take instant control with the free Robot Commander app on your smart device or infrared remote control included with each set. Live Better with this portable URPOWER Aroma Diffuser. As the pace of life is increasing, people may easy to be tired,anxious and hard to get sleep, add several drops of lavender oils to relax your body and fall asleep faster. The Ultrasonic design ensures the oil diffuser control the smooth mist reliable for long time. At the same time, it will not form drops and make the desk dirty. When the water mist coming out into the air, it will add oxygen molecule and fresh the air, osmanthus oils helps effectively eliminate the odor and to the natural fragrance of people feel good spirits. Irresistibly soft and cozy, these fleece pajama sets are designed for warmth, comfort, and style. They feature a contrasting satin trim on the jacket as well as two pockets on the pants. The soft fleece material makes them perfect for sleepwear or loungewear. Pajama wearing, coffee drinking, math teaching, lesson planning, Homeschool Mom. Says it all, right? Take your pick from the variety of options offered by Cafe Press. Homeschool moms can wear their new necklaces with pride. The most amazingly soft blanket I have EVER felt. Get it as a throw and cuddle up on the couch. Washes well, does not pill and will last a lifetime. With stainless steel durability and twice the brewing options as other leading coffeemakers, the 2-Way Brewer doubles as a compact single-serve coffeemaker for everyday personal enjoyment and a full 12-cup pot machine. Whether it’s 7:00 a.m. or a late-night indulgence, this two-for-the-price-of-one coffeemaker lets coffee drinkers decide the right size to start their day and enjoy the best convenience for their schedule. Series Xtreme all weather gloves are perpetually among the best selling hand protection for cold weather sports, because they offer the warmth of heavier, bulkier gloves without compromising dexterity. This glove is thin enough to pick up a dime and is 100% waterproof! The “light as a feather,” second-skin-like fit and feel is achieved with Series’ patent pending Form Fit design. Series Sound Touch patent pending technology uniquely allows connectivity to pass from your finger to the touchscreen, even through insulation layers and a waterproof/breathable membrane, facilitating warm, dry and comfortable gloves-on operation of smartphones, digital music players, cameras and other touchscreen gadgets.